Only VFIS clients may order this product. 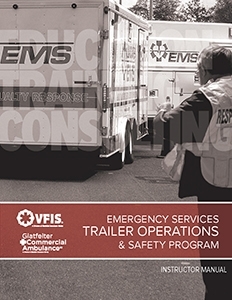 This program educates responders on safe trailer operations. This hands-on course includes information on trailers, the tow vehicle, brake requirements, tow hitch, ball, and coupler assembly, inspecting the vehicle, loading the trailer, driving with a trailer. After classroom discussion, participants test their knowledge on a skills course.